Helen Smith Price has long been an active player in her local community. From her role as the Vice President of Global Community Affairs for The Coca-Cola Company to her duties as President of The Coca-Cola Foundation and beyond, Price has a heavy hand in the success of Coke’s missions, and she pours that success back into the community. She was recently recognized for her life-long contributions to Communities In Schools of Atlanta and to the community at large. 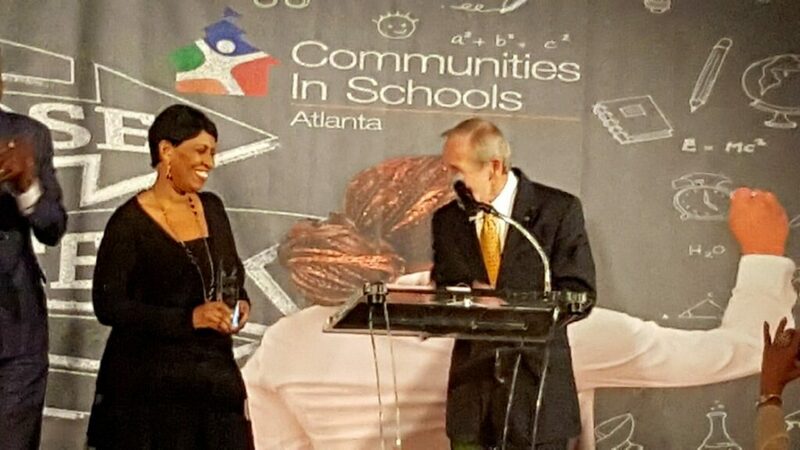 Price was awarded the highest honor from Atlanta’s branch of Communities In Schools on March 16th at the 15th Annual Choose Success Awards Dinner. CIS always presents the Anne Cox Chambers Champion for Kids Award to a community leader who has gone above and beyond to support students and the entire community, and this year’s award went to Price. During the event, Coca-Cola donated $6,000 to the organization on behalf of Coca-Cola UNITED. In addition to honoring community leaders who play important roles in supporting youth, the Choose Success Awards Program recognizes students who have overcome challenges, remained committed to their education, and shown passion for making a difference in their community. Students are nominated by specific CIS site coordinators. In 1993, Helen joined The Coca-Cola Company as a Corporate External Affairs Director. She has also served as Assistant Vice President, Group Director of Global Community Affairs and Executive Director of The Coca-Cola Foundation where she managed day-to-day operations including grant making, financial requirements and regulatory compliance at all levels. Before joining Coca-Cola, Helen worked in tax and accounting departments at the BellSouth Corporation and Arthur Andersen & Co. She received her Masters of Business Administration degree from Clark Atlanta University and her Bachelor of Science degree in Chemistry from Spelman College. Communities In Schools is a national organization serving 25 states and the District of Columbia. The organization leads the US in school dropout prevention and directly affects the lives of 1.3 million youth. The organization achieves their goals by surrounding students with support and by providing students with the tools they need to succeed in school and beyond. Georgia’s Communities In Schools affiliate organization operates under a network of 31 local leaders who have completed comprehensive training for compliance with the evidence-backed national model. CIS of Georgia creates relationships with students and their families and provides community programs as well as individualized services. Coca-Cola UNITED Atlanta Division will also sponsor their 2019 Champions Awards Luncheon on April 29th where the organization will directly award deserving students this academic year. To find more information about the awards and to see pictures from the event, visit Communities In Schools Atlanta.